Girls Playing Sport Day, held in Mount Maunganui, is about giving Year 4, 5 and 6 girls the opportunity to try some new sports - particularly those girls who may not get the chance to represent their school at other traditional inter-school events. 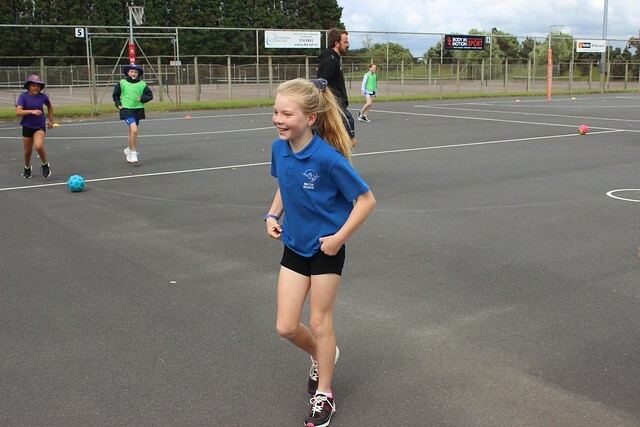 We had fantastic deliverers who coached the girls in Netball, Rippa Rugby, Futsal, Spike Ball and Ultimate Frisbee. There were 136 girls taking part and with this event only in its second year, we expect it will contiunue to grow. The emphasis of this event is on trying something new, having fun and meeting new friends, which is achieved by mixing the girls up from their school groups to create the teams.